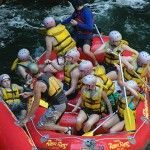 River Rats Raft & Kayak have been offering quality adventures for over 25 years. We pride ourselves on a safety first culture and our attention to detail. 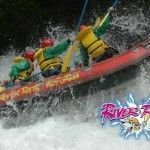 There’s something for everyone, from a gentle grade 2 scenic raft trip suitable for participants as young as 5, through to full on grade 5 action featuring the world’s highest commercially rafted waterfall. Kayaking is available as freedom hire or a guided tour. Paddle the local lakes to a secluded beach or enjoy a hot water swim only accessible by boat. 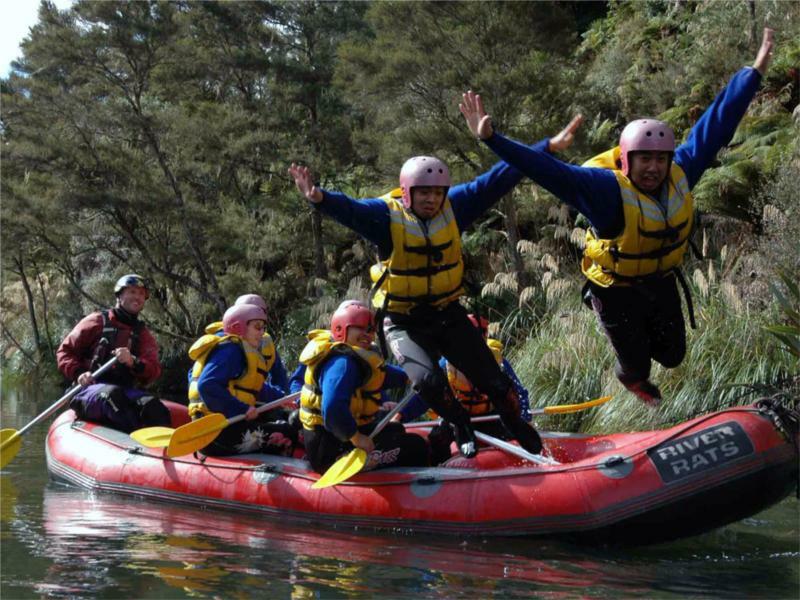 Whether you are wanting to experience a family adventure or team building exercise, perfect for schools or conference groups, we have a range of Rafting & Kayaking options, other adventures, and more exhilarating activities in and around Rotorua to choose from. Safety and attention to detail are a priority here at River Rats. An absolute commitment to safety by everyone who works with us has allowed us to achieve the lowest risk assesment rating in New Zealand in our annual audit by New Zealand’s Maritime Safety Authority. 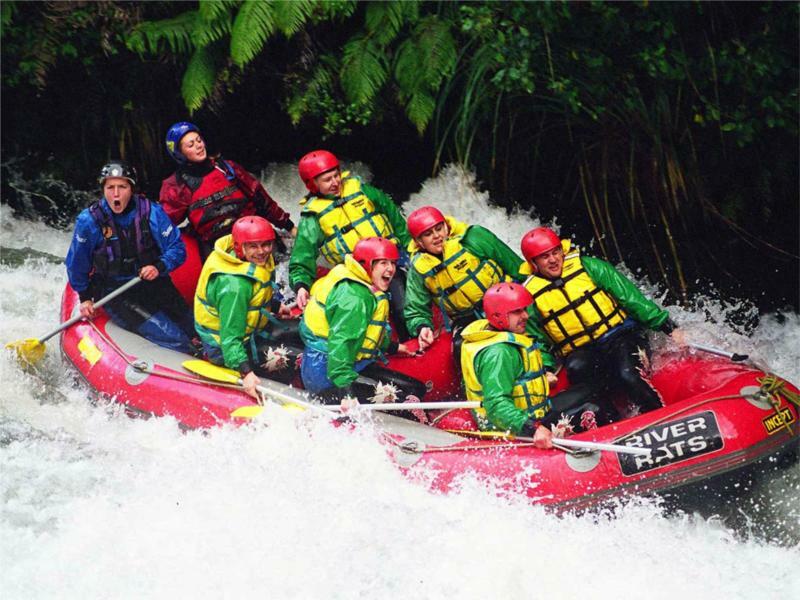 All River Rats rafting expeditions are led by an N.Z.Q.A. 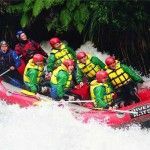 (New Zealand Qualifications Authority) qualified Senior Guide who has excellent knowledge of weather interpretation and risk management. 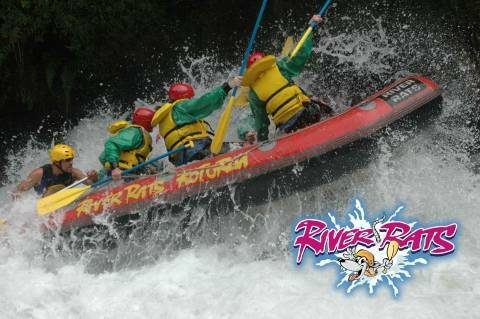 All River Rats guides hold a New Zealand raft guide award, current first aid and swift water rescue qualifications. 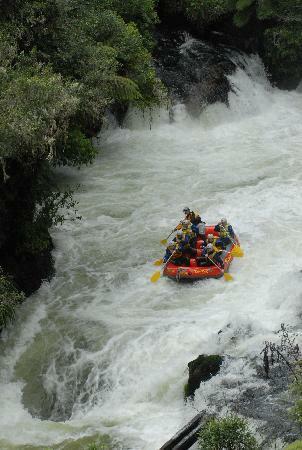 On the Kaituna River, all trips have two guides per raft. 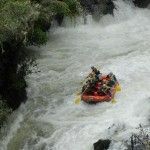 Each River Rats raft guide is trained to the highest standard and is assessed before being allowed to work commercially. 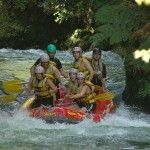 Each guide and driver has a detailed knowledge of the areas and activities encountered in our tours. 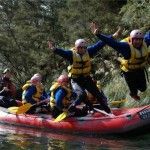 They are motivated, enthusiastic individuals who add a wealth of personal experience to their detailed training to ensure you have a stimulating and enjoyable adventure with us. 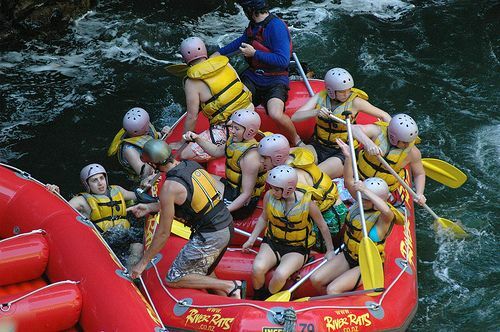 River Rats provides top quality rafts and equipment that meet or exceed required safety standards. 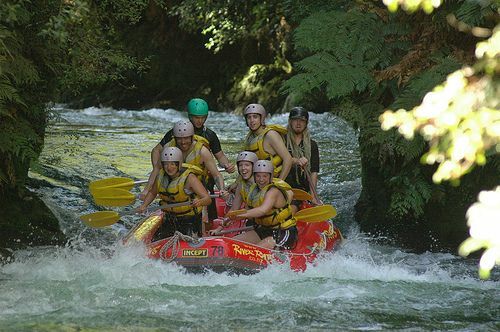 Each well maintained raft is in excellent condition and undergoes a warrant of fitness inspection on an annual basis.